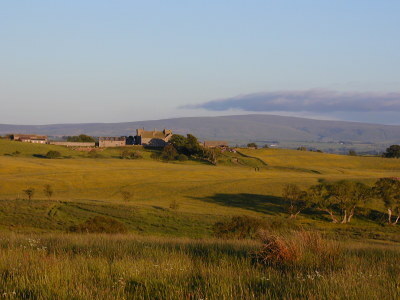 Askerton Castle Estate is a 1458 acre organic livestock farm situated a few miles north of Hadrian's Wall in Cumbria. 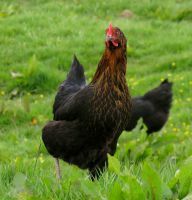 The farm has been certified fully organic since September 2004 and is run by us - Jane Eden and Chris Evans. 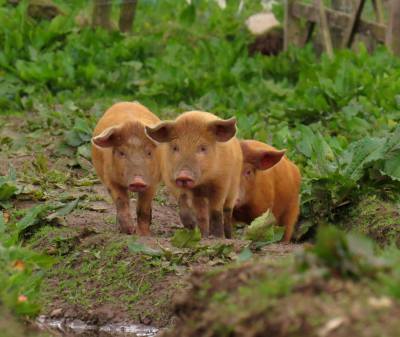 We started in 2002, but from the onset concerns about animal welfare and the routine use of medicine, biodiversity and conservation made the decision to farm organically a logical one. 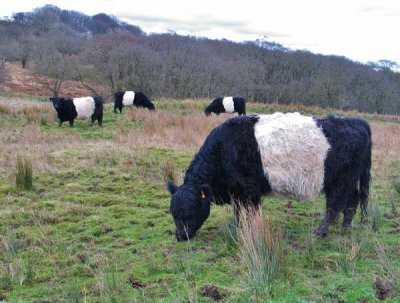 The choice of traditional and rare breed livestock (Belted Galloway cattle and Blackface sheep) complement the landscape and are perfectly suited to turning rough hill pasture into the finest quality meat. 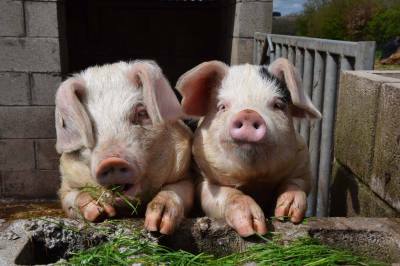 The Tamworth and Gloucester Old Spot pigs and the poultry are reared closer to the farmstead where they enjoy a relaxed and stress free existance. 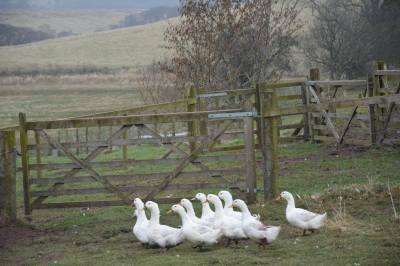 Askerton Castle Estate has a comprehensive Stewardship Agreement with Natural England to protect and manage the farm in a manner that encourages the development of local fauna and flora. 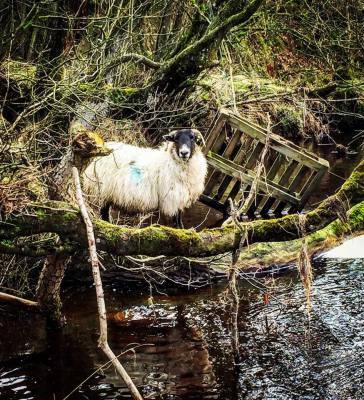 There are a number of designated Sites of Special Scientific Interest covering The Mollen which are areas of ancient woodland and through which the clear water tributaries of the River Cambeck run. 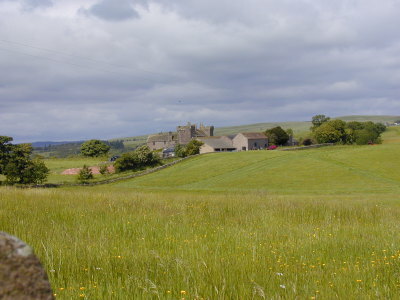 The hay meadows support a rich vareiety of plants and animals, creeping bent, meadow foxtail and crested dogstail: the areas of rough grazing have other plant species present such as meadowsweet water mint, star sedge, primrose and the locally rare plant adders tongue fern. This habitat also supports a variety of bird life including snipe, red shank and curlew. 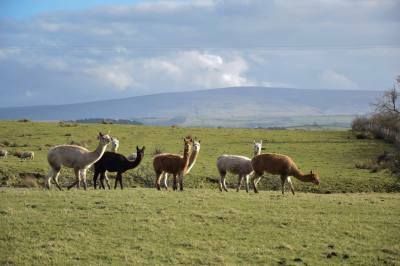 The farm also has a herd of alpacas, which are kept for their high quality fleece which is spun into fibre and then sold along with the Belted Galloway rugs. Since 2003 Jane and Chris have been regular stallholders at Farmers' Markets, selling what has been born and bred on the farm. The feedback is very encouraging and convinces them that they are producing such a quality product that customers return time and time again.